The LSU Tigers are ranked No. 6 in the Amway Coaches’ Preseason Poll announced Thursday. 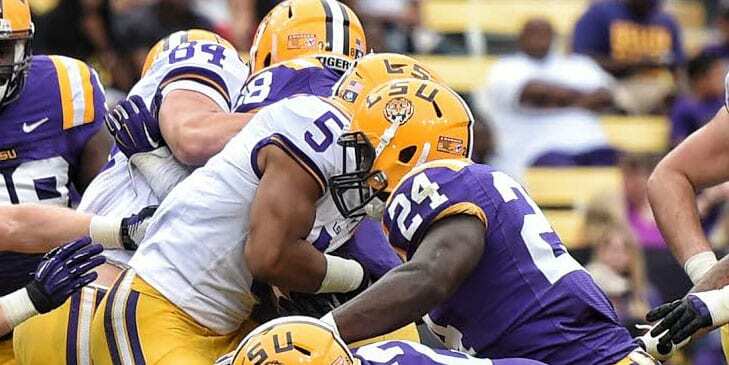 It’s the highest LSU has been ranked in the coaches’ preseason poll being ranked No. 1 in 2012. LSU is coming off a 9-3 season. The Tigers were ranked No. 17 in the final coaches’ poll last season. Defending national champion Alabama and runner-up Clemson are ranked 1-2. They are followed by Oklahoma, Florida State and Ohio State. The Crimson Tide received 55 first-place votes and the Tigers received seven. Florida State and No. 10 Tennessee received one first-place vote each.